Our database of Computational Thinking (CT) progressions based on elementary teachers’ implementation of integrated CT and mathematics is now available HERE. One of the main foci of the Learning Trajectories for Everyday Computing (LTEC) group has been to test out lessons that integrate mathematics and computational thinking (CT). 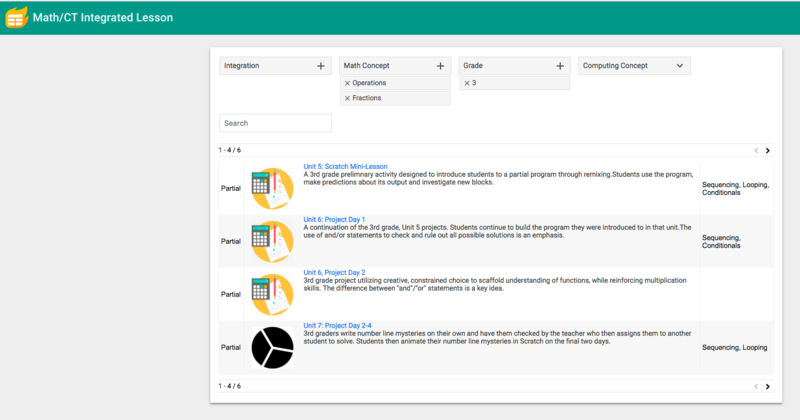 Lessons were developed by teacher leaders in our primary partner school (Kenwood Elementary School in Champaign Unit 4 School District) in Google Docs. Several of these lessons were then revised to be used by teachers in additional schools during one pilot testing period. For the purpose of our analysis, theoriginal “Kenwood lessons” were used, as these lessons represented a broader scope of the mathematics and CT lessons. These original research lessons are the ones populating this database. The revised lessons are linked separately and their development is described here. These integrated lessons allowed us to not only study how to teach CT in the context of elementary mathematics, but also gain a stronger understanding of how these lessons can be used in developing learning progressions across the grade levels in the CT areas of Sequencing, Looping, and Conditionals. 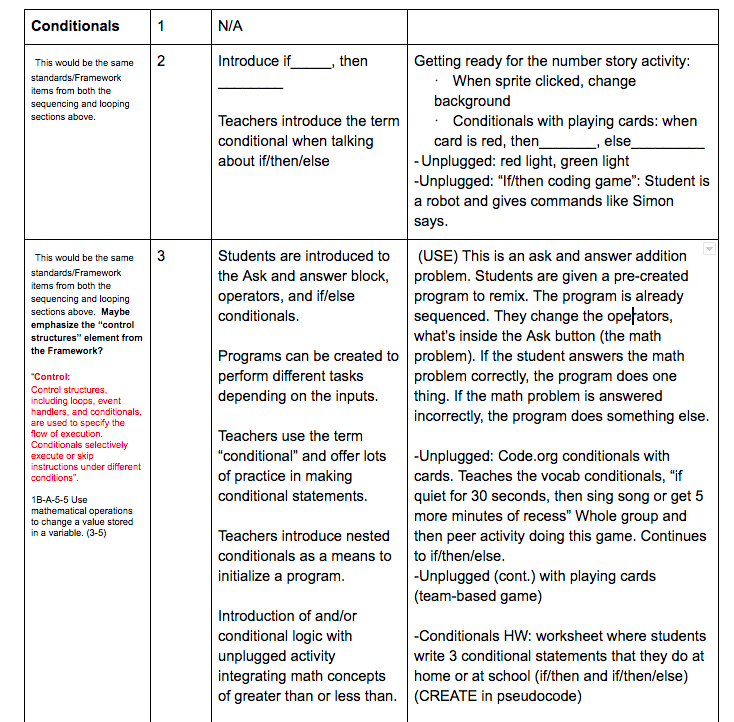 This process of unpacking the lessons started with creating tables that listed all the activities in the different computational areas by grade levels. Figures 1 and 2 provide a screenshot of the Looping and Conditionals tables that show an increase in the level of sophistication in the use of these concepts. 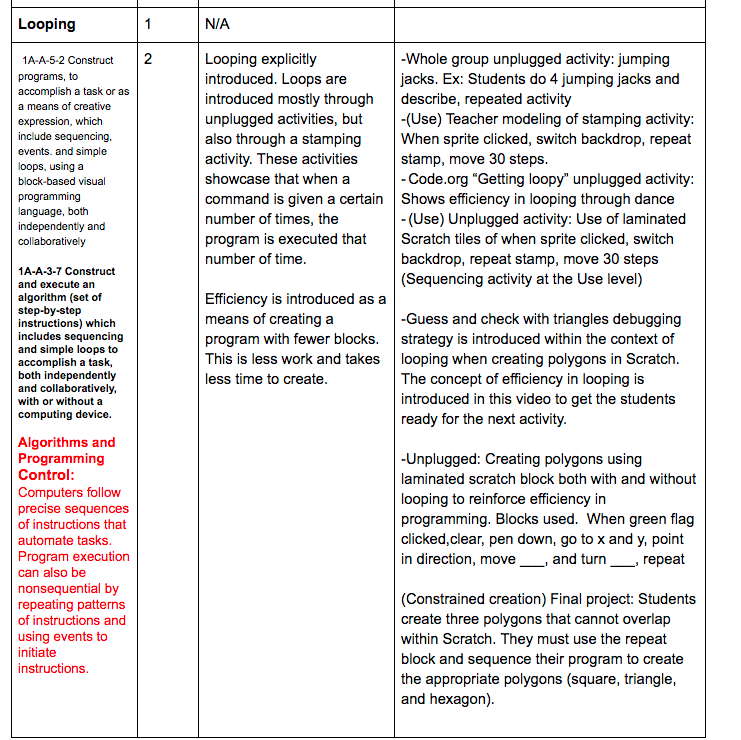 Figure 2: Example of initial analysis of looping in the lesson plans. Once these spreadsheets were completed, we linked the lesson plans into the spreadsheet. Feel free to explore the data of these lessons and their relationship to the computational practices through our database HERE!